My grandson attended the Thomas & Friends Live show last night and he came away with this nifty little souvenir. 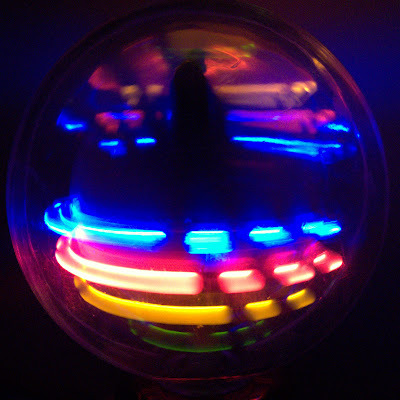 It's a small clear plastic ball with a spinning set of changing LED lights. He demonstrated it for me so I could make today's blog post photo. Canon G10, 1/100s @f/3.2, ISO 800 in macro mode.